Is it just me or have you also wondered how it is that those “elites”, who decide every aspect of our existence from law to power to medicine and food, manage to live so damn long and still be so incredibly active ? 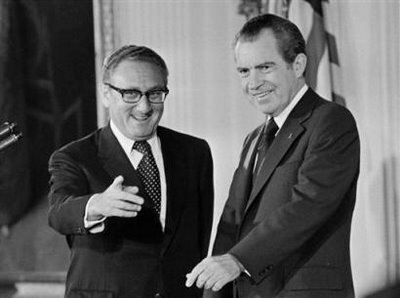 Really when you look at these people who are still jet setting around the globe and active in politics and behind the scenes, then you are told that they were actually in politics during Nixon’s time, it hits you just how old these people really are. Look at David Rockefeller as a prime example. He is the patriarch of an enormous business empire and has tentacles in foundations all over the world. He is active in all the shadow government groups he helped set up and run back in the 1950s up to this day. He is 94 and still flying all round the world chairing these New World Order meetings. There seem to be no end of extremely old politicians and advisors and bankers still out there pulling the strings. Leaders like Silvio Berlusconi still at the helm of a huge media empire and Prime Minister (if not dictator) of Italy at 73; or people like Madeline Albright who takes a new government job with Obama at 72. There are literally hundreds of these people in politics who seem to never go away. They are all in their late 60s, 70s and 80s and are taking on vast new portfolios of work. It seems like nothing has ever really changed. If you look at this world for the last 50 years we have had the same faces running the world, and running it into the mess we now see. They, as a cross party group have made sure that they continue to control our destinies for half a century. So do you not then conclude that what we have now in the world is exactly what they have been holding on to power to achieve? One other aspect of this is that it always seems strange to me that these people live so long, remain energetic and active, yet none of them seem to suffer from the same ailments that we suffer. To the best of my knowledge I cannot remember any of them in large numbers ever dying of cancer or suffering from dementia or any of the myriad of diseases that affect older people. None of them die of cancer yet new figures are showing now that one ion 3 people are getting cancer, and in many cases it is occurring in children. Why are they not proportionally equal, how are they seemingly immune? I can think of one or two politicians like Reagan who died suffering from Alzheimer’s but still he was very old. Most of these people seem to be sharp into the end of their days, despite the fact that we think they are idiots most of the time. You might think they don’t know what they are doing but they know exactly why they are doing it. 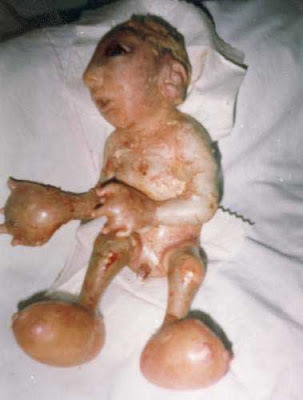 The knowledge these people have kept from us like how to prevent and cure disease without medicine, or how to prolong life through certain nutrients has been their privileged information for as long as these inter-related bloodlines have ruled this planet and our suffering is their profit and power. Discovering the fountain of youth has always been at the forefront of their drive for power, the technology may finally have given them a chance now, but not for us. I would be interested to hear any comments and ideas about this subject to write a fuller expose if indeed this is not simply conjecture. As you wake up from the imaginary world that is created for you, you more and more start to notice the hidden messages the controlling elites insert into their mass media. The purpose of this is two-fold. Firstly to subliminally brainwash us into acceptance of what is to come by inserting incidences of what is on the agenda into our entertainment media. The second purpose is that is is essential to the occult agenda of these people that we are told because they require our acceptance of our fate in order to create greater power for themselves. Let me explain then what messages were encoded into this episode. 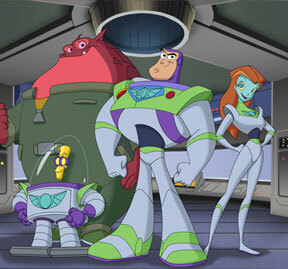 1 – Emperor Zurg has an army of cyborgs or mechanically enhanced beings. This would mirror writings I have read on future trends in robotic warfare and the science of extracting the brain information from humans into computers, perhaps even androids in time when the hardware catches up. 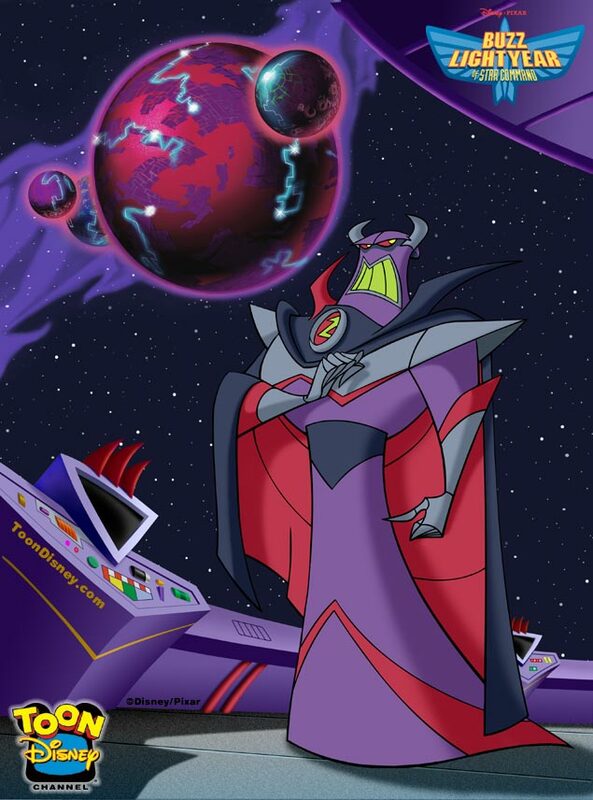 4 – Zurg greases the wheels of his take-over by enlisting the services of a particular evil collaborator. Again this can be seen in the co-opting of elements of our society over the decades and into the future to carry out the New World Order agenda. Here it is compartmentalized but there are plenty of willing assistants as well as blackmailed ones or frightened ones. 5 – Zurg’s tyranny is actuated by the auto-contruction of an imprisoning environment that engulfs the peoples own lands. This auto-constructing phenomenum is reminiscent of the prison of legislation that is being built around the people of the western countries, especially Britain and the USA. It erects itself regardless of whether you try and stand in it’s way. It engulfs you even if you try to run from it. 6 – There is one feature about the need for the Illuminati to tell you what is to happen to you and that is that they seem to have to also tell you how to stop it. In this cartoon the way in which the auto-constructing prison of tyranny is reversed is simple. All that is needed is to penetrate the system and remove the power core. For example, remove the President, Congress and Senate, or the Members of Parliament, and replace them with yourselves. Alternatively remove the power by not buying into what they want or sell. Once this was achieved and the fuel removed, Zurg was left to fight man to man with Buzz and of course on those terms Zurg loses without his Military Industrial Complex, Robots and Cronies to fight for him. Why now and not in Toy Story? Well back then Pixar stood alone. Now however Pixar has been bought out by Disney. Disney is a key member of the mind control agenda and long time Bilderberg Group and CFR member. You may remember Walt Disney’s open secret links to the intelligence services during the McCarthy era. His companies are now controlled by Zionist members of the Illuminati and have tentacles in many media outlets including film, television and games. The sub-conscious messages that are inserted into programming, as described above in Starfleet Command, are everywhere and are designed to pre-programme the child’s mind to accept the oncoming agenda of the Illuminati. By planting these media images now the mind is not so shocked when they become reality so that the people will not stand up and say no, or fight back. By pre-conditioning them to expect this the people become more accepting and compliant. This has been going on for decades and is also one of the key methods of fooling the public into going along with the geo-political agenda of the Illuminati Anglo-American Empire. 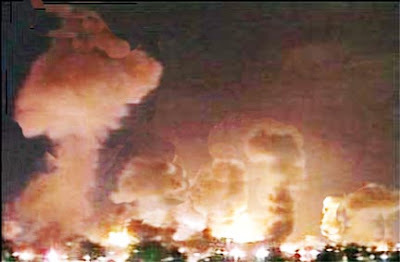 For example, the use of a controlled mass media over years had turned normal people who would not hurt their fellow man into a people who turn a blind eye to the killing of millions upon millions of Asian and Arabic people in the name of global commerce, and they now find it acceptable when it is dressed up as “fighting terror”. Remember, we do not need a superhero. We are all superheros !